Ethiopian Airlines– Most of Africa’s air travel is conducted by airlines from outside of Africa. However the new initiative launched this year — the Single African Air Transport Market (SAATM) — by the African Union which aims to open up Africa’s skies could pave the way for increased African air travel. Ethiopian Airlines is the country’s state-owned carrier and leading carrier by number passengers. It serves over 120 passenger destinations. It’s one of Africa’s largest airlines and could be set to gain from the initiative. (CNN) ─ in Africa’s battle for the skies, an east African carrier is stepping up its game in an effort to dominate the market. 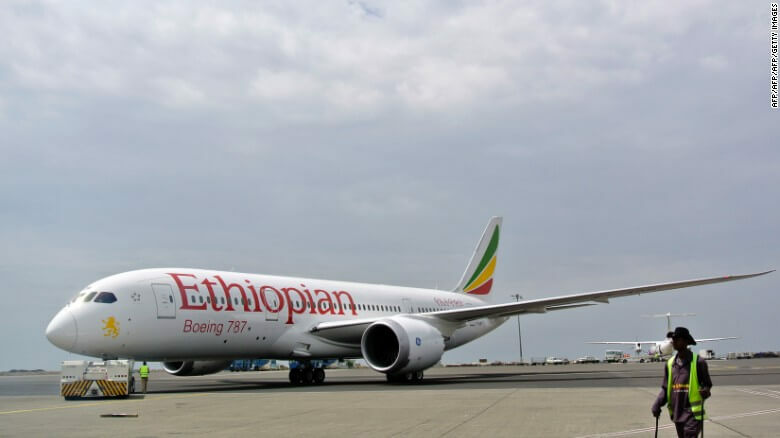 The state-owned Ethiopian Airlines, Africa’s largest carrier by number of passengers, according to FlightGlobal, has taken stakes in a raft of carriers across Africa and opened routes to new destinations, like Manchester, UK.